WINNIPEG, Manitoba (CelebrityAccess MediaWire) — Neil Young and Crazy Horse have pulled the plug on the remaining seven dates of their current European outing after guitarist Frank "Poncho" Sampedro broke his hand. Afected dates include the Way Out West festival in Sweden, Pukkelpop in Belgium, and the O2 and Echo Arenas in England. 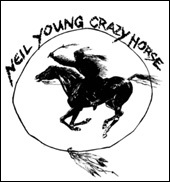 In a post on the band's website, a spokesman wrote: "Due to an accident involving Crazy Horse, the remaining dates on the Neil Young and Crazy Horse tour of Europe and the British isles have been cancelled. We are sorry for any inconvenience this causes to our fans or the Festivals where we were scheduled to appear. As you must be, we too are disappointed at this unfortunate turn of events." A source close to the band told Rolling Stone magazine that Sampedro's injury was a "mild fracture" and that he was expected to make a complete recovery in time for the band's planned North American tour.